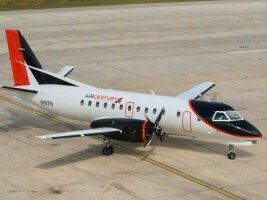 Air Century, which operates 11 flights a week between Presidente Dr. Joaquín Balaguer International Airport (AILI) and Port-au-Prince International Airport, has canceled flights to Port-au-Prince due to riots and insecurity in Haiti. In this context, Aeropuertos Dominicanos Siglo XXI (Aerodom) announced the cancellation of flights bearing the numbers CEY133 and CEY134 from AILI to Port-au-Prince. Passengers who have reservations to travel to Haiti on canceled flights will be notified by the Company as soon as their flights resume.